Can I File a Claim or Lawsuit after in a Motorcycle Accident? What are my options for recovering damages? Minimum auto liability insurance requirements in Iowa are $20,000 per person and $40,000 per accident in bodily injury liability, as well as $15,000 per accident in property damage liability. 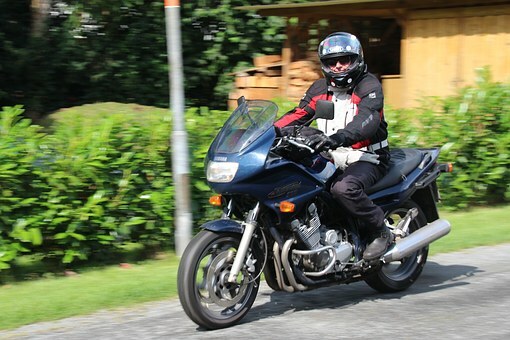 Motorcyclists injured by another driver can file a claim with that driver’s liability insurance. Motorcyclists must establish that the driver was negligent and that the driver’s negligence led to the accident. They also must establish that they were injured in the accident and suffered damages. If the accident is with an uninsured driver or if the at-fault driver’s insurance doesn’t cover all damages, the motorcyclist can file a claim with his or her own uninsured and underinsured motorist coverage (UM/UIM), if it’s included on their policy. In some cases, an insurance company will fail to offer a fair settlement or will deny a claim outright, which may necessitate a personal injury lawsuit to recover damages. What If I Was Not Wearing a Helmet or I Was at Fault? Iowa doesn’t require that a motorcyclist wear a helmet, so if you weren’t wearing one, you didn’t break the law. However, Iowa follows a modified comparative fault system in which partial negligence can reduce the amount of compensation you recover. If you are more than 50 percent at fault for the accident, you cannot recover damages under Iowa law. If you are 50 percent at fault for the accident or less, you may recover damages. But your damages will be reduced proportionately to your percentage of fault. Your helmet use could impact your comparative negligence. If you weren’t wearing a helmet and suffered a head injury, you could be comparatively negligent. What percentage of fault you might hold depends on your case. If, for example, you are 15 percent comparatively negligent and you suffered $60,000 in damages, you would recover $51,000 in damages ($60,000 minus 15 percent). But if you weren’t wearing a helmet and suffered an arm injury, your helmet use would not factor into the injury and wouldn’t affect your comparative negligence. How can I understand these laws and get fair compensation? "Iowa Consumer’s Guide to Motorcycle Crashes" is a book offered by Walker, Billingsley & Bair to help motorcyclists and their families better understand their rights after a serious accident. Order your complimentary copy. Walker, Billingsley & Bair helps bikers in and around Ankeny with their motorcycle accident cases. Make sure you set up your free consultation to discuss the details of your case and your options for financial recovery. Call 888-435-9886 or use our contact form.